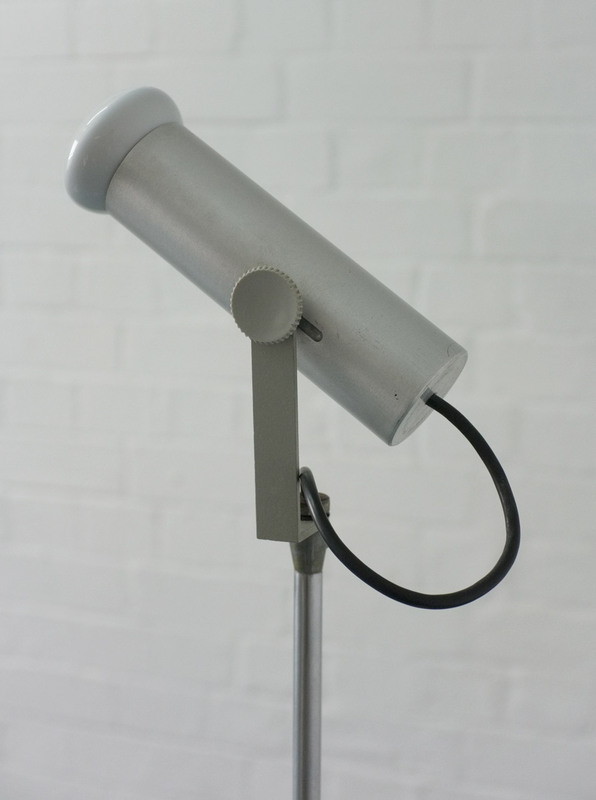 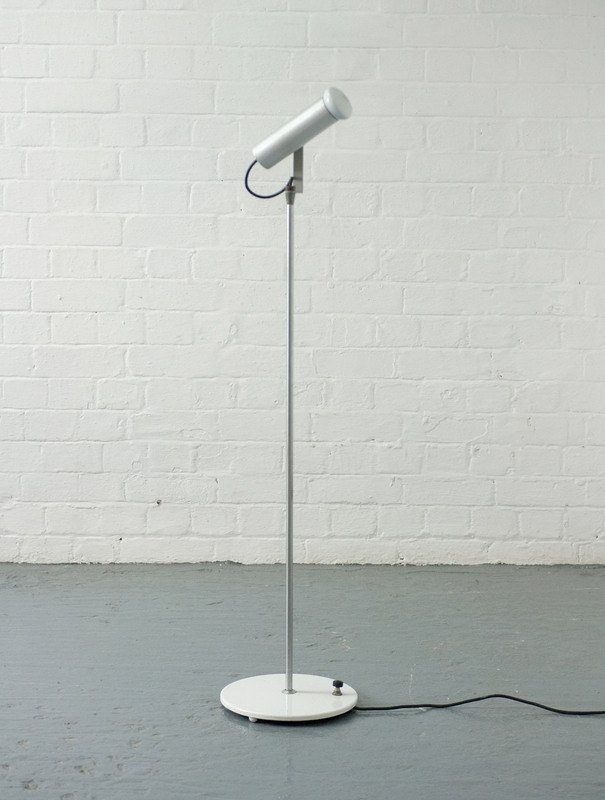 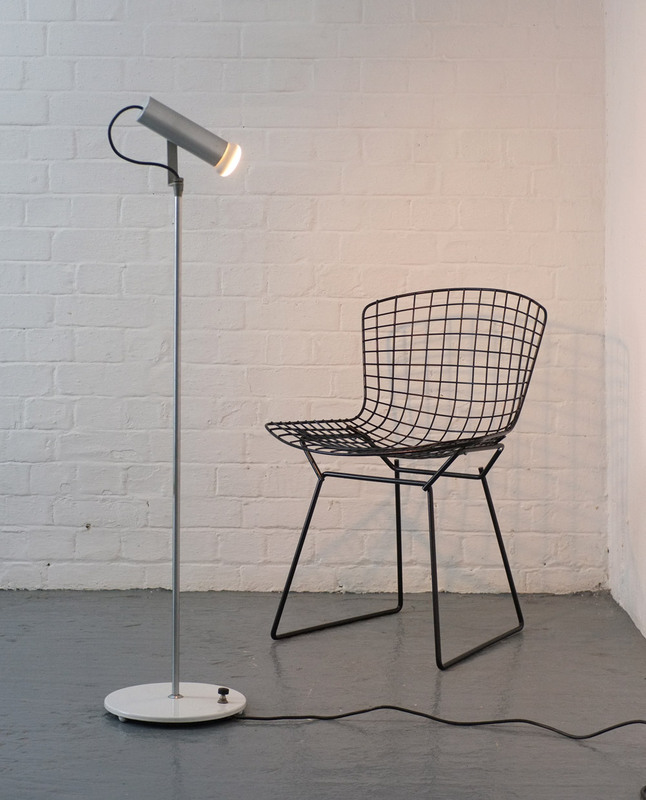 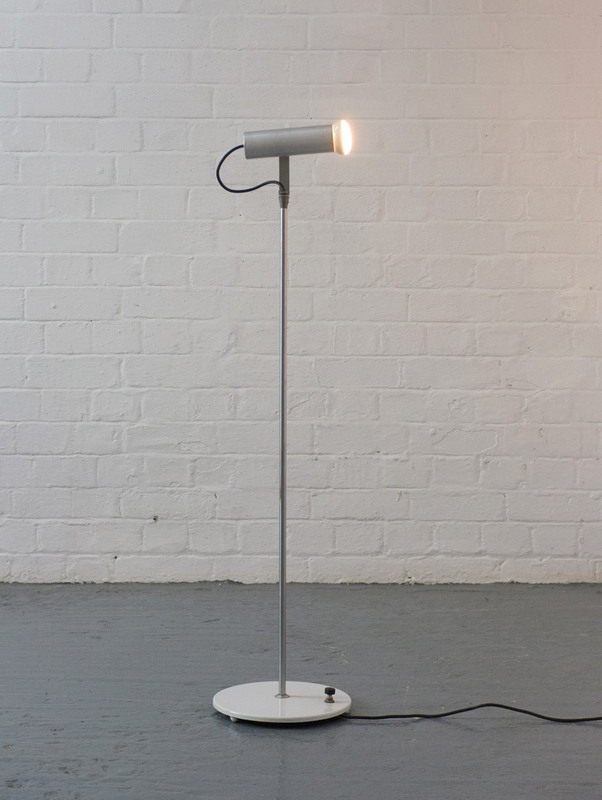 1960s floor lamp designed by John and Sylvia Reid for Rotaflex, UK. 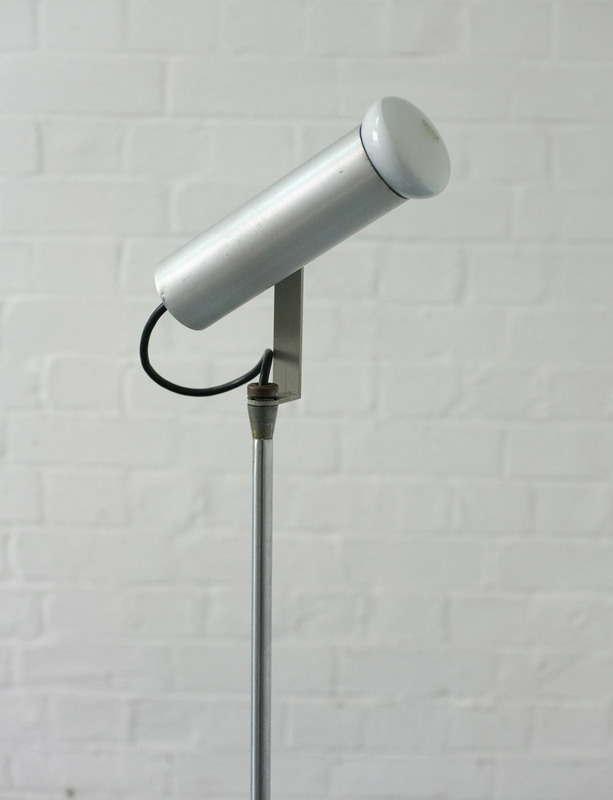 Adjustable brushed metal shade on chromed rod with white painted base. 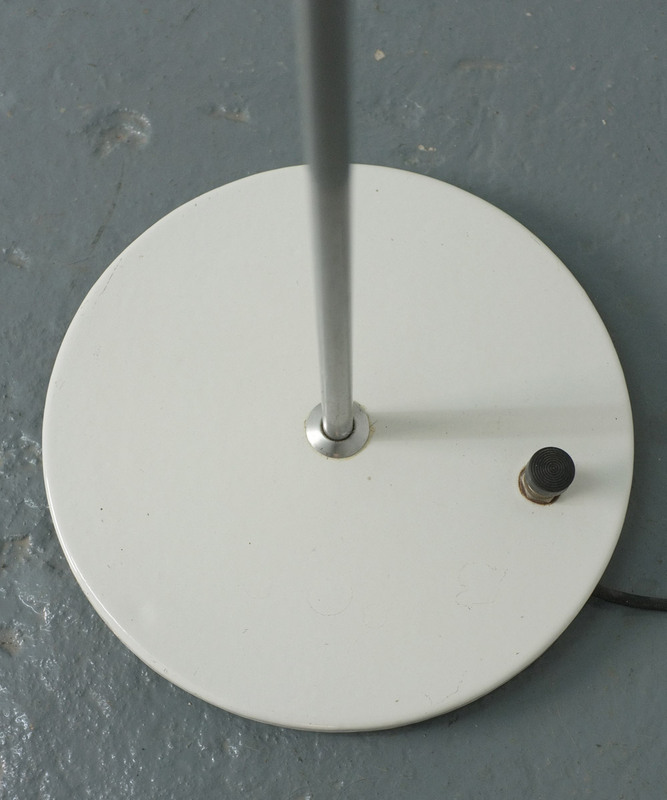 In good original condition with some scuffs and a small ding to the shade.